Clara and I love our children. That said, we still do enjoy leaving them with other people on occasion so that we can do things as a couple. We did this over the weekend and saw The Book of Mormon at the Majestic Theater. The musical was great - a bit crude at times, but very well done. I had several really good Mormon friends growing up and I appreciated that the Church of Jesus Christ of Latter Day Saints had enough of a sense of humor about the whole thing to advertise in the Playbill. At any rate, what we also really enjoyed was the opportunity to experience San Antonio’s Majestic Theater. Built in 1929, this “atmospheric” theater is built as a stage set in itself with the auditorium dressed as a Spanish Baroque plaza. The house lights are always kept dim, adding another layer of mystery to the experience. “Mystery” or “moodiness” isn’t something that finds its way into modern design. 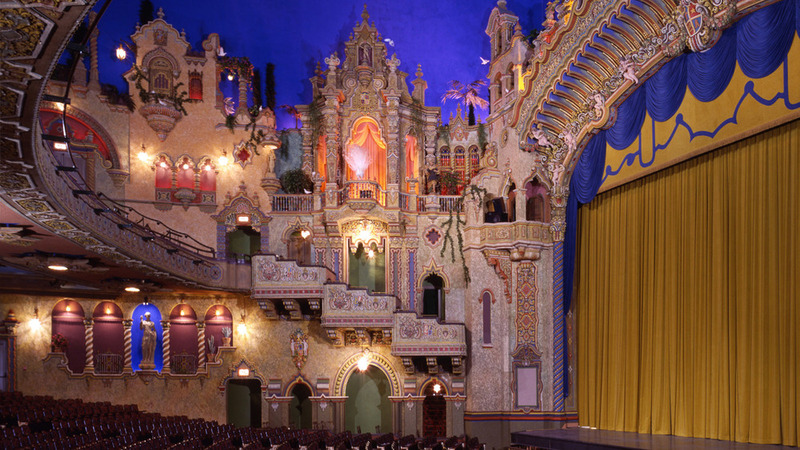 It often falls to landscape to provide these qualities today but that’s a shame since the power of architecture to transport – as it does at the Majestic Theater – is truly remarkable.